Once Nehemiah announced his plan to rebuild the wall, the work began. There were 42 groups of people working on specific areas of the wall. Everybody could play a part — priests, leaders, craftsmen, Jews from other cities. Each gate has its own practical function. But they also have a spiritual significance — the gates give us a better understanding of who Jesus is and what He has done for us. So for the next few weeks, we’ll be taking a closer look at each gate and what they remind us of Jesus’ finished work on the cross. Today we will start with the Sheep Gate. Neh 3:1 Then Eliashib the high priest rose up with his brethren the priests and built the Sheep Gate; they consecrated it and hung its doors. The Sheep Gate was the first gate to be restored, and it was rebuilt by the High Priest and his fellow priests. Note: This was the only gate that was consecrated (set apart as holy), as it was used for bringing in sacrifices for the temple. Thousands of years later, when Jesus was on earth, He always entered Jerusalem via the Sheep Gate (except for the Triumphal Entry). The Sheep Gate also led to Golgotha, the path Jesus took to the crucifixion. What does the Sheep Gate remind us of? This gate had no bolts or bars — salvation freely available to everyone who enters through it. 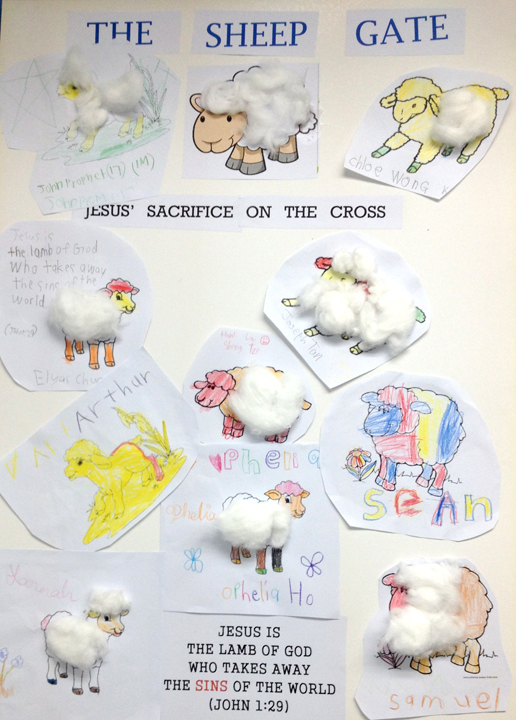 The Sheep Gate is mentioned at the start and end of the chapter — everything starts and ends with Jesus’ sacrifice on the cross. It’s all about Jesus and His finished work on the cross! 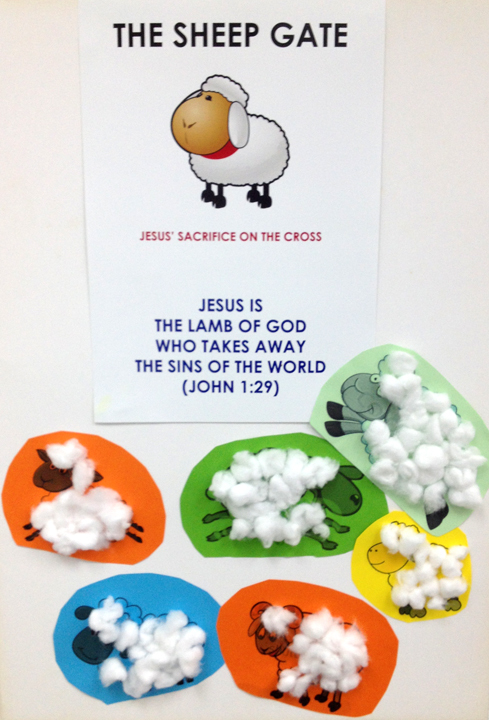 Ideas: get kids to stick/draw pictures of sheep (or stick cotton wool on the sheep), can write their names next to each sheep.